The nice weather is FINALLY here and Richard and I went out shooting for a few hours before he booked Laly and Leandro for a private tango shoot. 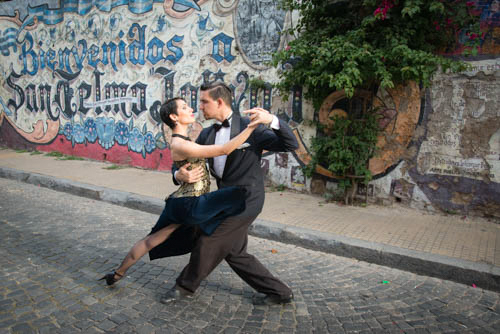 With San Telmo as the backdrop and these stunning dancers as Richards subjects, he captured some classic 'golden hour' images to document his time in Buenos Aires. The last shot is from my camera of Richard in action. Booking is easy and the dancers are available Monday to Friday most mornings and afternoons. Drop me a line and let me help you capture the BEST that Buenos Aires has to offer! Two Barrios with Three Points of View! 5 Camera Settings You Need to Change NOW!